Sometimes you need more than just words to tell a story. Colors, depth and movement can communicate a message in ways that words simply cannot. That’s where 3D modeling software comes in. These tools, similar to free CAD software and BIM, enable users to sculpt three-dimensional models of objects and characters and subsequently enhance those graphic design creations with realistic detailing. 3D modeling software is commonly used in entertainment spaces, such as film or video game creation. However, they can also be utilized for building design or marketing and advertising. And believe it or not, you can get some of those tools for free. The list we’ve outlined here includes any 3D modeling solution with an available free offering. It should be noted that this does not include products that are only free on a temporary basis, such as limited trial versions for new users. They may only support one user or one project, but they’re truly free offerings. Scaling, however, will often require full investments. These products alone have well over 350 validated user reviews on G2 Crowd as of August 19, 2018, and only represent a small portion of the 90-plus 3D modeling software offerings listed on our platform. Whenever possible, the products are ranked by user satisfaction score from an in-depth analysis of the best free 3D modeling software. Overview: This free 3D modeling software combines flexible plugins with a data visualization pipeline architecture for transforming data from one format to another. K-3D is a user-friendly and powerful tool that that makes it ideal for amateur and experienced artists alike. Pricing: K-3D is completely free, which means that users have full access to all features at no cost. 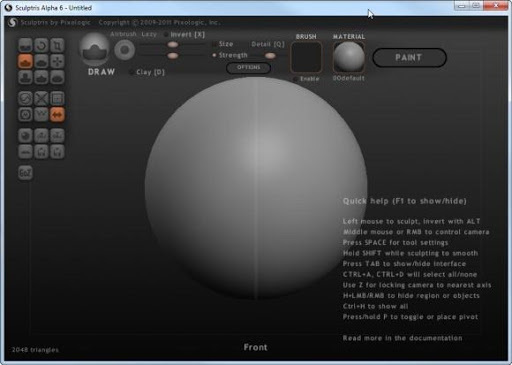 Camera mode: This free drawing software offers users the option for pan/tilt, zoom, dolly, modeling and tripod modes. 3D primitives: K-3D offers cone, circle, cushion, cylinder, disk, grid, paraboloid, polyhedron, sphere and torus. Rendering: This free 3D modeling tool has rendering functionalities and supports a number of different rendering engines. 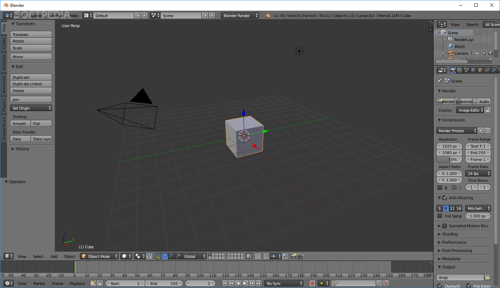 Overview: Blender is free and open-source 3D creation software. This tool offers functionality to support 3D pipeline, 3D modeling, animation, rendering, video editing, game creation and more. Pricing: Blender is completely free, open-source 3D creation suite. “Definitely the best free and open-source 3D modeling tool out there. The insanely high number of features available makes it as good as other AAA products on the market. It's a great resource for 3D modeling, sculpting, high quality rendering, and animation and game making." — Blender review by Nicola F.
— Blender review by Raphael H.
— Blender review by Kenton H.
Sculpting: Blender allows users to sculpt objects with 20 different brush sets and provides multi-res sculpting support and more. Cycles: Blender’s rendering engine Cycles has functionalities for lighting, shading, layers and passes, motion blur and more. Pipeline: This feature allows files to be imported and exported in a variety of different file types. Game creation: The 3D models created with Blender can be segued into game creation. 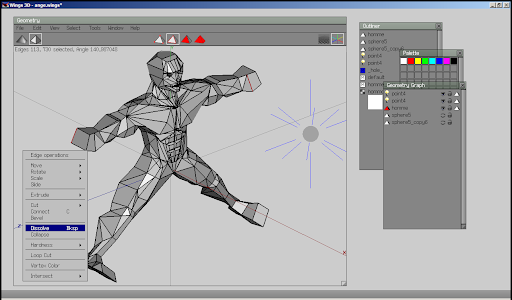 The module in this free 3D modeling software allows you to export your 3D models to any third-party game engine. 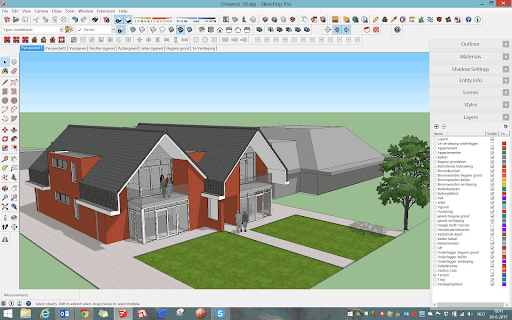 Overview: SketchUp is a general-purpose CAD solution with powerful 3D modeling capabilities. While it is commonly used in fields such as building design, architecture and engineering, this solution enables line drawing, shape rotation, and push and pull surfaces to make a 3D model of anything you desire. SketchUp also offers a free library of pre-existing 3D models to select and work from. SketchUp Free: This is an ideal option for simple 3D modeling. This includes SketchUp Free for Web, 10 GB of cloud storage, five seats on the platform and free models from 3D Warehouse. SketchUp Shop: This option is available $119/year and is geared toward users who intend to turn their models into real objects. SketchUp for Web, import/export for CAD files and vector images, unlimited storage, unlimited seats for SketchUp, solid tools, tech support and more are available in this plan. SketchUp Pro: This pricing plan is available for a flat rate of $695. This gets you SketchUp Pro for Desktop, extensible apps and plugins, LayOut for 2D documentation, import/export for CAD and vector files and a lifelong license. — SketchUp review by Amanda P.
— SketchUp review by Matteo P.
— SketchUp review by Benjamin W.
Sections: Apply names and symbol to various sections in your design to make them easier to find and organize. You can also hide large amounts of geometry in your sections. 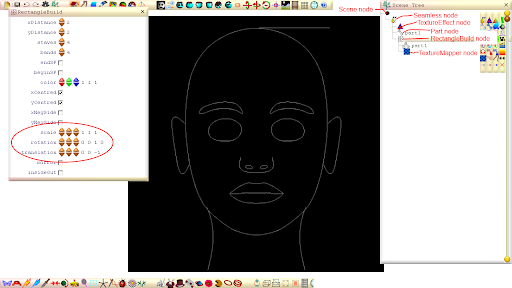 Drawing: Create linework with scaled vector graphics with SketchUp’s drawing functionalities. You can also import .DWG files directly into the platform. 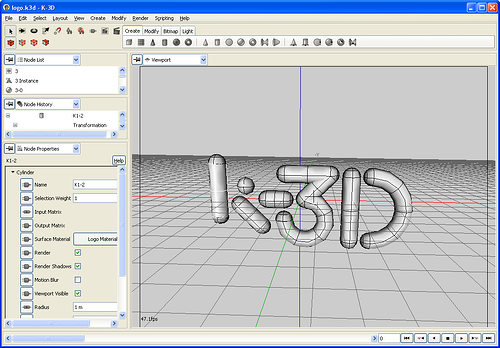 Documentation: Turn your 3D models into documents. Once you use SketchUp’s 3D modeling capabilities to create your design, you can export it as a PDF. Overview: Sculptris is the free and limited version of another 3D modeling tool, ZBrush. This free 3D modeling software is specifically geared toward those who are new to this space. Pricing: While Sculptris is a completely free 3D modeling solution, users can upgrade to ZBrush for $895/seat. — Sculptris review by Beth A. — Sculptris review by Martha T.
— Sculptris review by Richard T.
Dynamic Tessellation: This free 3D modeling software allows you to work without concern of your model’s geometry. Immersive Interfaces: Sculptris offers an intuitive and clean interface so users can easily access their design toolkits without cluttering up their workspace. 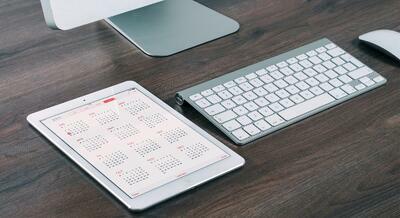 Navigational Controls: Easily toggle between two different applications with this feature. Overview: Wings 3D is an open-source and free 3D modeling software.This tool is designedd for subdivision modeling, which is a method of representing a smooth surface over linear polygon mesh. Pricing: Wings 3D is an open source and completely free 3D modeling solution, which means users have full access to these features at no additional cost. — Wings 3D review by Jonathan David H.
Modeling Tools: This free 3D modeling software offers modeling tools, including those that support vector and magnet operations. Tweak Mode: Wings 3D allows for users to make quick adjustments to mesh. Editing Tools: This function allows for the editing of lighting, materials, textures, and vertex colors. Overview: This open-source and free 3D modeling platform is geared more toward seasoned artists and designers. 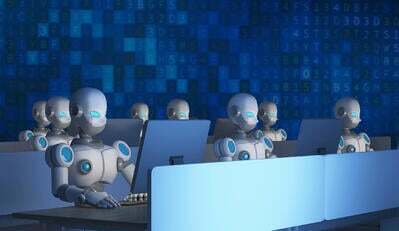 As this platform has a freeform nature, it requires a bit more patience and practice to master its learning curve. Pricing: Seamless 3D is an open-source and completely free 3D modeling solution. Users have full access to all features at no additional cost. Be the first to leave a Seamless 3D review! Import/Export Files: Seamless 3D supports the importing and exporting for a number of different file formats, such as VRML, X3D Obj, BVH motion capture and more. Editing Tools: This platform has a number of different editing functionalities, such as WYSIWYG capabilities and an infinite undo and redo option. Animation: Animate your 3D models with Single skinned mesh animation using Seamless 3D’s intuitive animation bar. Overview: BricsCAD Shape is a 3D modeling tool intended to help architects and engineers streamline their design and presentation work. While it is typically used for those industries, this tool also offers the ability to create 3D models of people, landscape, transportation or anything else needed to enhance your design. 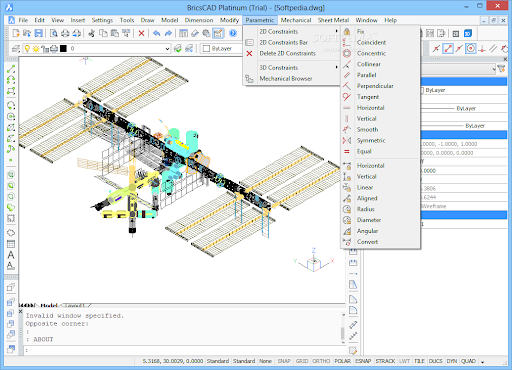 Pricing: BricsCAD Shape is a completely free 3D modeling software. Be the first to leave a BricsCAD Shape review! Freeform Modeling: BricsCAD Shape offers easy wall creation, along with the tools to create doors, windows and profiles. Supplemental 3D Modeling: Create models of people, landscape and more to supplement the the design of your building. 3D Model Library: Utilize BricsCAD Shape’s library of preexisting 3D models and import your own. Decide which features are a requirement in your free 3D modeling software. The features in the solution you select should allow you to effectively reach your business objective. 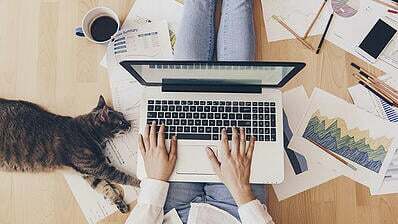 You should also consider how you would like to deploy your new solution, and if you may considering upgrading to a paid plan further down the line. 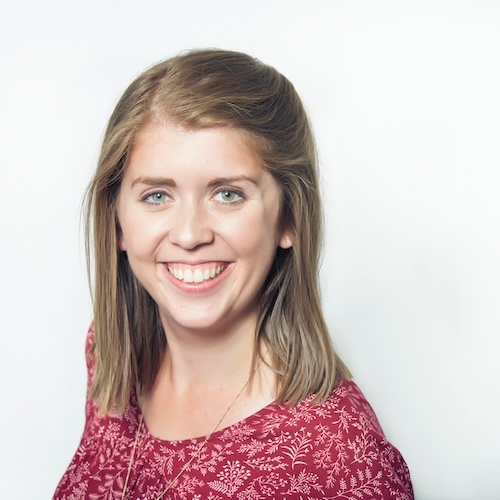 Once you have chosen, read through some more verified user reviews to allow you to make the best decision for your business. For more design resources, be sure to follow all new content on the G2 Crowd Learn design hub. *Please note: User reviews may have been edited for grammar and spelling.